PARIS — Firemen normally fight to save lives. But Monday's fight was to save a country's heritage. 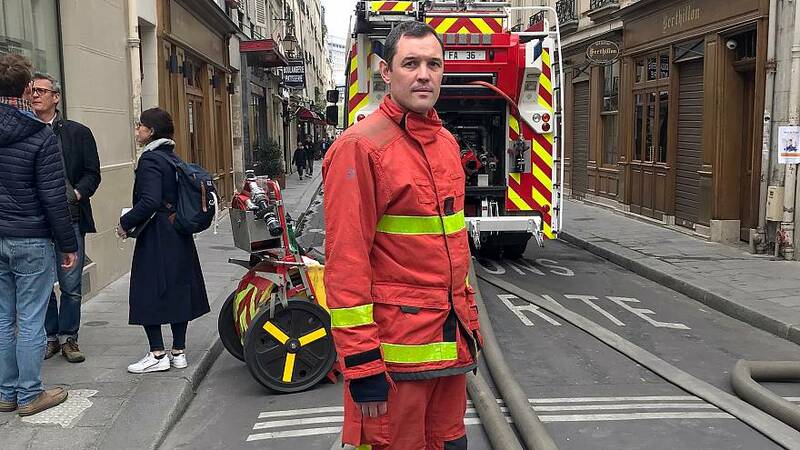 One of the 400 firefighters who helped battle the blaze that engulfed Notre Damehas been on Île Saint-Louis, an island in the Seine next to Île de la Cité where the cathedral is situated, all night. "Notre Dame is Paris' cultural heritage, and above that it's France's heritage," said the fireman who declined to give his name because he was not authorized to speak to the media. "Even if it's a religious building, it's still Notre Dame." 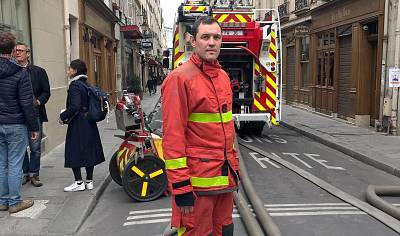 The burly man, who has served in the Paris fire department for 14 years, ticked off other deployments —apartment blocks, and a concert hall in the northern Paris neighborhood of Montmartre. "It's Notre Dame, it's a totally different thing," he said as he stood beside the red truck. Throughout the city, Parisians and visitors expressed a common sense of grief and disbeliefthat Notre Dame, which embodies so much of French identity, history and culture, could be left in such a state. The building's charred scaffolding stood out like a scar against the sky. He said his team's role was to send water down hoses thick as a man's thigh across an adjoining bridge between Île Saint-Louis and the smoldering cathedral. "It's my colleagues — they've done everything they can to save what was inside," he said, declining any personal credit. Passersby offered the fireman food and drink, which he politely declined. As of 2 p.m. on Tuesday afternoon, he had been on duty for 18 hours. As for pride for what he'd done he said he felt none. "If it had been something else maybe but this Notre Dame, it just feels sad," he said. "It's sad that the roof has gone and the spire has fallen but we just couldn't do anything." With the fire now extinguished, he was waiting for his colleagues to secure parts of the façade of the cathedral that threatened to fall off. "The driver always stays with the truck," he said. "They might call me and tell me to turn on the water."